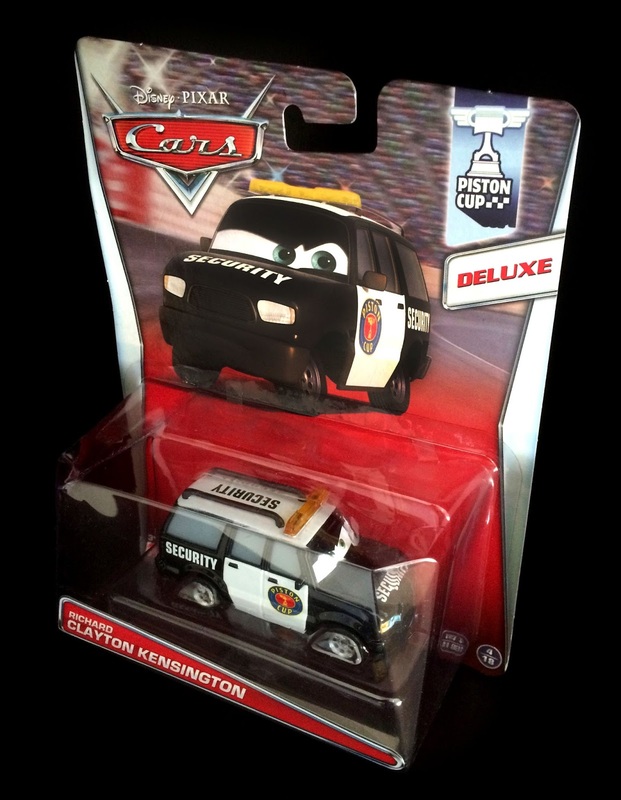 Here is yet another new 2015 Disney·Pixar Cars (re)release, Richard Clayton Kensington! This is a 1:55 scale "Deluxe" size vehicle from Mattel and is #4/18 of this year's "Piston Cup" sub-series. 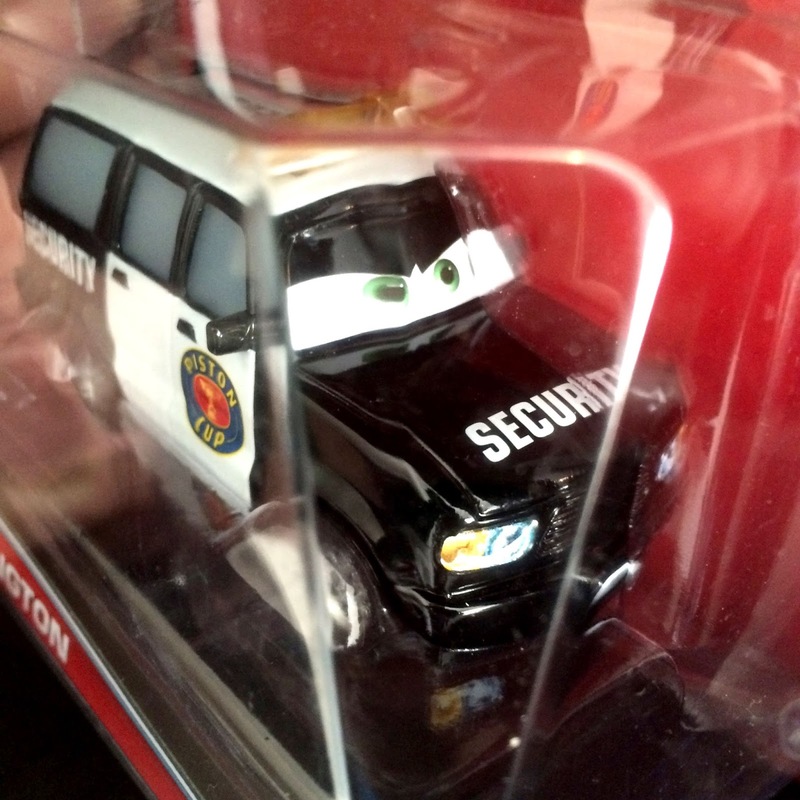 Richard was originally available a few years back as a "Mega Size" single and in a lenticular "Piston Cup 3-Car Gift Pack." I was really happy to see this character hit stores again, since I had missed his initial release. In the film, Richard is a Piston Cup security officer who can be seen to the right of Fred in the screen shot above. His almost identical partner, Marco Axlebender, is seen on the left (see his diecast release HERE). Find Richard in stores now! If you're having a hard time track him down, you can always snag him online on eBay or Amazon as well. Good luck on the hunt!